I am using MS Flow to POST a HTTP request to SharePoint to create a Sub site when an item has be entered into a list. I want to create this sub site using a site template I have saved. Go to the site creation page where you selects the custom site template to create new site. Locate the site template you want to use and Press F12 or Right click > Inspect Element. 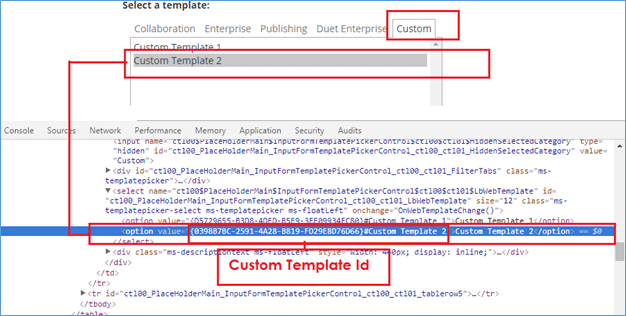 How To Find Custom Template ID Using Template Name In SharePoint. Microsoft Flow – Create a new sub site using Microsoft Flow!. Create SharePoint site by custom template and grant permissions in Microsoft Flow. Not the answer you're looking for? Browse other questions tagged sharepoint-online sub-site web-template flow ms-flow or ask your own question. How to create new webtemplate, inherited from another custom web template? How to use saved template (from a subsite) in the parent root site?